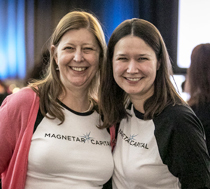 The Magnetar Capital UChicago Financial Education Initiative is financially empowering students through high-quality materials, evidence-based approaches, teacher community, and scholarly expertise. The Magnetar Capital UChicago Financial Education Initiative was launched in July 2016 to develop the tools, resources, and capacity to spread robust financial education across America. The Initiative will oversee and expand Magnetar Academy, a comprehensive financial education course for Chicagoland high school students, coupled with professional development and networks for financial education teachers and strategic support for schools and districts seeking to ensure their graduates are financially empowered. 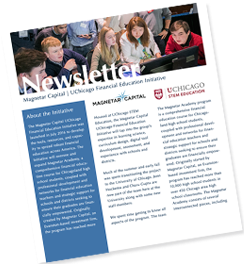 Housed at UChicago STEM Education, the Magnetar Capital UChicago Financial Education Initiative will tap into the group’s expertise in learning science, curriculum design, digital tool development, assessment, and experience with schools and districts. 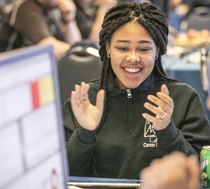 The Initiative consists of several interconnected pieces, including a curriculum, the team challenge, professional development, and a host of supplemental materials. Includes lessons on savings, credit, budgeting, financial planning, investing and the stock markets. Addresses national financial literacy standards and Common Core standards. Offers hands-on, engaging activities to help students build their financial skills. Allows students to build and manage a mock-stock portfolio. Helps teachers improve their financial education practice. Two Face-to-Face Professional Development Sessions per year focused on content and pedagogy in the Magnetar Academy curriculum materials. A 5-hour, online Financial Education Professional Learning Course for teachers to review financial literacy content at their own pace and certify their preparation for teaching high-school financial literacy standards. Daily Assistance for teachers with specific needs and issues. Online Stock Portfolio Competition, where students apply lessons about the stock market, by building their own stock portfolios and tracking their progress against their classmates’. Students with top performing portfolios are eligible for scholarships. MagMoney, a mobile application tailored to high-school student needs. MoneyStories, an online video series in which everyday people share their personal approach to managing money. Online Teacher Portal, where teachers can request guest speakers to visit their class, find PowerPoint presentations to supplement their lectures, and download digital version of the curriculum, and more. Guest Speaker Program, a pool of financial professionals whom teachers can invite to speak to their students about careers, personal finance, stocks, and more. The Magnetar Academy Team Challenge is a simulated stock trading competition held each spring in the Chicago area. Student teams receive a first-hand experience of what it is like to be a stock trader or analyst as they make investment decisions in real time. The Challenge kicks off with the financial literacy competition, a game-show style contest where students answer questions about personal finance & money management. Competing as teams, students analyze trends to build a $100,000 mock stock portfolio. They monitor and balance their portfolios throughout the trading period. School teams with the highest performing portfolios overall win school grants. Decades of experience in curriculum development, learning science, professional development and STEM content. Magnetar Academy believes every high school student should receive high-quality financial education in school. We work with local and national leaders to advocate for one-semester, in-school implementation of financial education coursework. 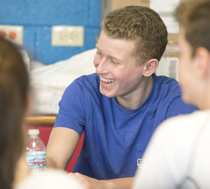 The Magnetar Capital UChicago Financial Education Initiative is a partnership between Magnetar Capital, an Evanston-based hedge fund, and UChicago STEM Education, a leading research and curriculum development center. 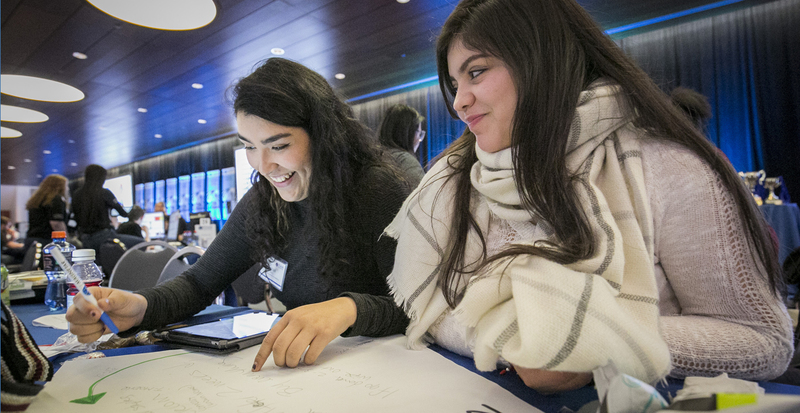 Established in July 2016 with a $5 million gift from Magnetar Capital, the Initiative charges UChicago STEM Education with developing new teacher and student tools to financially educate high-school students. Who we are. The difference we make. Testimonials.